get your cats READY!!! 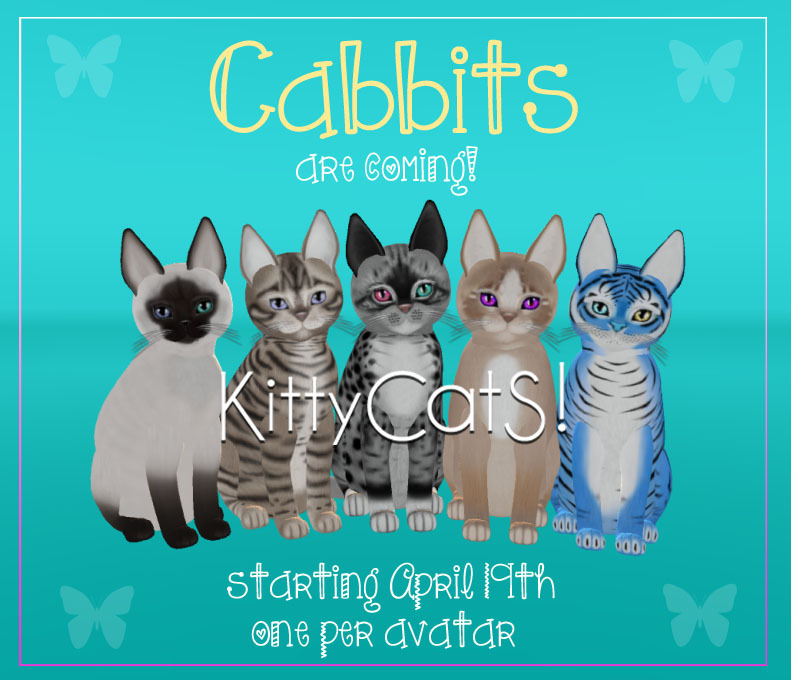 starting on April 19th - the 27th, your cats can be a CaBBit!! what is a CaBBit? •they are guaranteed ONE per avatar on the first breeding. • the chance for sizes is 3x the normal chance! • they will be born until April 28th at 11:59! can't wait to see what you all create!!! we'll start a thread in the forums for you to show off your creations and of course we LOVE when you post to our flicker group! This looks like such fun!! Thank you KittyCats! !